If you are looking for some real insight when planning your trip to Rome, then bloggers are a good place to start. While traditional guidebooks and travel websites are a useful resource, nowadays the advent of the travel blogger has opened up the world of local, personal reviews, and experiences paired with up-to-date, real-time information. It is no surprise that Rome has a rich community of foreigners who moved here to experience their very own slice of la dolce vita, and what often starts as a fun way to keep in touch with their native country often evolves and expands to a wider readership looking for insider hints and tips. Rome’s blogger community not only helps visitors plan their vacation but are also helpful to residents like ourselves keen to keep up with the city’s news, openings, and closures or looking for recipes and recommendations. So whether you are organizing a trip to Rome, already live here, or just want to read about life in this incredible city, here is a list of some of our favorite Rome-based bloggers to check out. Australian-born Maria Pasquale’s love-letter to the land of her parents sees her living the good life in both Rome and beyond, hunting down the best hotels and restaurants up and down the boot. From her beloved Trastevere to her regular trips to all corners of Italy, Maria encompasses in every post her love of food, life, and everything Italian. Maria’s stories are also collected in her book I Heart Rome: Recipes and stories from the Eternal City. Natalie, like many of us, came to Rome for a bit and found herself tugged into the irresistible pull of this amazing, yet complex, city. Writing about all elements of Italian life and her travels around Europe, her blog features a host of reviews and helpful travel tips recounted with a charming personal touch. Long-time Rome resident Isobel Lee’s blog digs deep into eating and traveling in Italy. Documenting her experiences at the new bar and restaurant openings all over the city, her travels also take her all around the country. 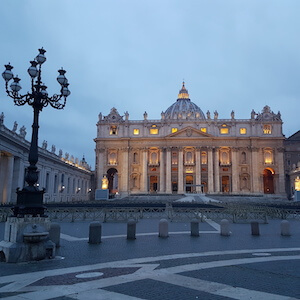 Her blog tells of her adventures around Rome and Italy, with useful information about getting around and where to hang out with the locals. Gillian Longworth McGuire’s experience of moving to and setting up a life in Rome is evident in her helpful tales relating to the expat life, with a myriad of posts covering both essential information about day-to-day life, to personal recommendations of things to do. Along with loads of information on Rome, she is also an authority on the very best beaches and islands of Italy. Rachel Roddy’s food blog combines a simple layout with gorgeous photography and beautiful, evocative writing. Part recipe collection, part narrative of the integral part that food plays in Italian daily life, Rachel’s writing transports you to her kitchen in Testaccio and vividly draws the characters she meets in Rome and on her frequent trips to Sicily. Travel writer and photographer Livia’s love of exploring Italy shines through in her blog posts recounting things to do and places to go in Rome and beyond. Whether she is discovering hidden corners of the Eternal City or venturing further afield, you can’t help but be swept along by her wanderlust. A veritable hive of information, what Elyssa from Romewise doesn’t know about visiting Rome isn’t worth knowing. From how to visit the city’s museums and monuments to where and what to eat, here you will find invaluable information and tips to help you make the most of your time in the Eternal City. Also check out other posts on our Local Aromas food blog and our foodie video series for tips on places to eat and drink in Rome, authentic Italian recipes, and information about all the delicious things in Italy. Plan your trip to Rome with the help of a local by reading the indispensable insider knowledge on some of the best food and travel blogs in Italy.